Size - We dedicated an entire guide to Ariat boots because of one major focal point: they’re very accurate on sizing. 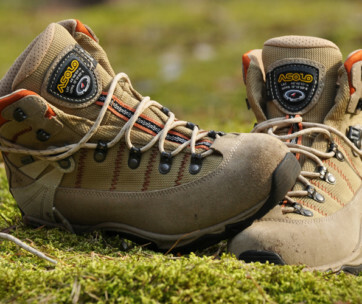 They’re one of the few manufacturers who’ve listened to the people: they made accurate sizing charts and information available, so you’re not returning two pairs of boots just to slip into the right pair after weeks of fighting the mail. Length - These boots come cut off the straight and narrow, literally. Most of these have a nice length and a touch of extra toe wiggle room. Width - Wide or flat feet? Pay special attention to the width. Most Ariat boots are designed for narrow or slim feet, so try to have your measurements already swritten down for quick reference. Insole - Ariat’s insole may need an upgrade from time to time. We personally recommend switching this out after about six months of use, or adding an additional layer of padding. 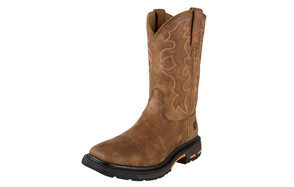 Outsole - Ariat’s generally have larger outsoles giving you more protection in the field or in your chosen profession. As a result, they also come with a slightly raised heel and arch support. Toe - Wiggle room, material (steel, carbon fiber, or others), and fabrics: if you need to grab a steel-toe boot for work, or you’re just looking for some more protection, the toe material greatly matters. Note; metals in the toe also helps preserve the shape of the leather. Comfort - You’re going to be in these all day, so comfort is one of the focal points. 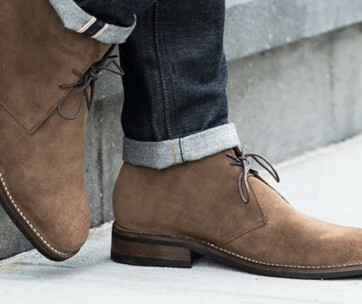 If you’re not loving the boots you’re in, they’re not for you. Ariat provides excellent comfort in all their boots, but do remember, the higher the cut, the harder they will be to put on and take off. 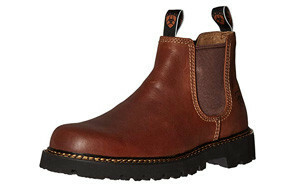 Material - Ariat primarily uses leather, though in other components, there’s a few different fabrics or harder materials. Leather is simple to care for and can last you for a lifetime. We’ve covered care and maintenance further in this guide. 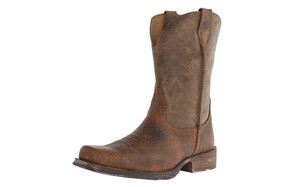 Design - Ariat has a few different lineups: there’s athletic-style boots, work boots, all with a Western feel. You found this guide because you want to know what the hype on Ariat is, or you want to know which ones to snag to replace your old ones. You’re already in love with this style. Color - Ariat isn’t big on using vibrant dyes, which is a good thing. It keeps it closer to the rugged roots and nature of their style, and harsh colored dyes tend to bleed into your socks. 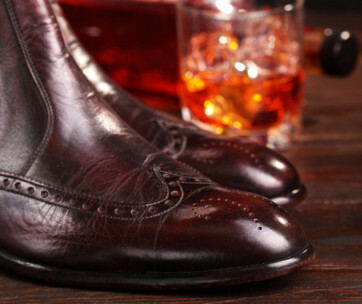 Choose between natural tan, brown, and black colors for you boots, and you can’t go wrong. Waterproofness - Ariat boots come with a little bit of waterproofing (from natural or full-grain leather), but do require maintenance. On average, each Ariat boot will have two to three months of prime waterproof capabilities out of the box.